How important is this project for Arba Minch University? Located in the heart of the Enset-growing region, Arba Minch University has been in contact with Enset growers for many years. Contributing to the area’s food security is a primary mission of the university. Therefore initiatives have been taken, including preliminary Enset biodiversity studies, market-chain studies and the establishment of a ‘field gene bank’. ‘Tree against hunger’: can Enset fight malnutrition in Ethiopia? Enset has two nicknames: ‘false banana’ and ‘tree against hunger’. 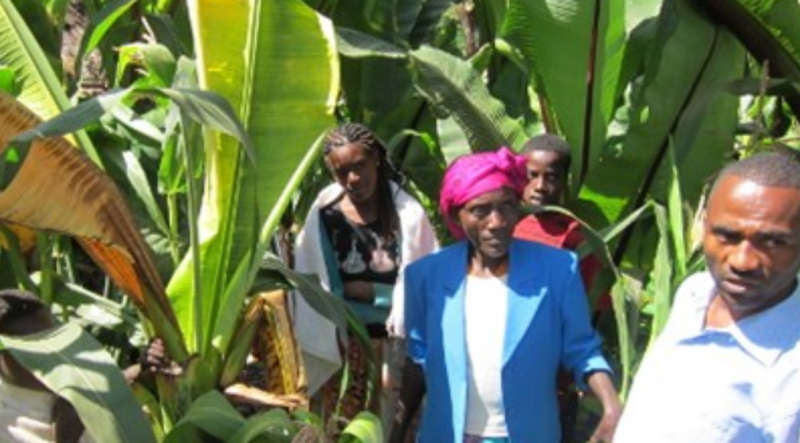 The first one because it looks like a banana plant, and the second because it is an important food crop in Ethiopia. 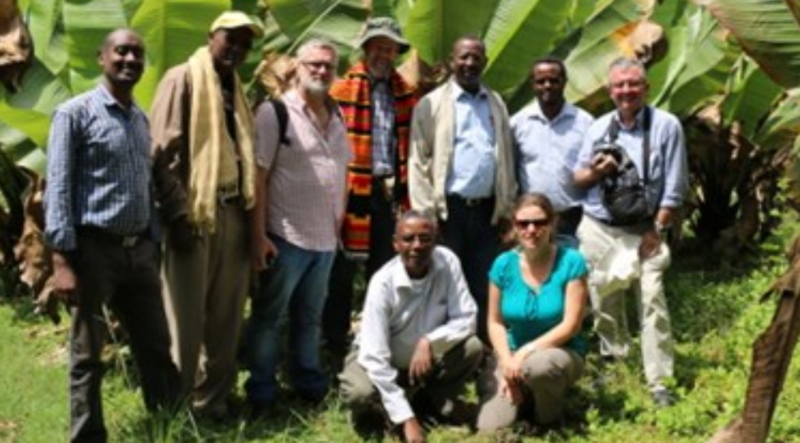 The Arba Minch University and the KU Leuven join forces, with the support of VLIR-UOS, to improve the sustainability of Enset farming systems in Ethiopia. The Gamo highlands in Southern Ethiopia are a unique area in terms of ecological and cultural diversity. Enset (Ensete ventricosum) has been cultivated there for over 10 000 years. Actually more than 15 million people rely on Enset for subsistence. However, the Enset-based farming system is severely threatened by a disease called ‘Bacterial wilt’. A disease attack can leave a family vulnerable to famine for years. 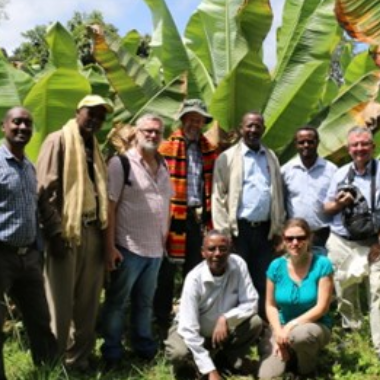 The Arba Minch University – KU Leuven four-year project (2015-2019) on Enset aims to reduce diseases by investigating its relationship with ecological and management factors; and to improve the nutritional and market value of the edible product. The leaves of the harvested plants are scraped to separate fermentable pulp from the plant’s long fibres. The produced starch and the pulp is packed in leaves and buried for 4 to 12 months to ferment and result in a product called ‘kocho’. The production and post-harvest processing is entirely done by women and is a major contributor to the women-managed household budget. The quality of the fermented product however is highly variable, resulting in low market prices. Combined to population increase, this puts a strong pressure on the Enset system. Why is Enset an important crop? We asked Dr Fantahun Woldesenbet, research director at Arba Minch University and Professor Karen Vancampenhout, bioengineer at KU Leuven and Flemish project coordinator.